Garmin Nuvi 3590LMT is a new ultimate GPS navigator of the high-end series from the Garmin company. It is probably the smoothest and most ergonomic device of the series. The navigator comes with an enhanced voice control, realistic photo imaging of complicated street crossings and road conjunctions, the upgraded Guidance 3.0 interface, and a built-in media player. 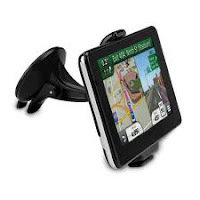 The navigator can be fully controlled with voice commands - for example, one may simply pronounce a street address, look for places of interest, manage the settings, as well as have the rest of the functions performed. 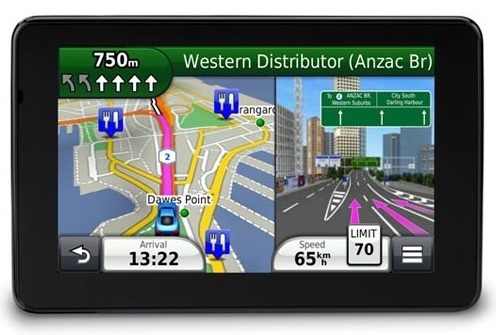 The Garmin Nuvi 3590LMT navigator is also equipped with a triple-axis sensor which allows to automatically rotate the screen - this is found extremely useful for pedestrian navigation. In order to make the voiced hints louder and more distinct, an extra built-in speaker is mounted on on of the windows of the car. Nuvi 3590LMT will offer hints on passing through over 1000 kinds of complicated crossings and conjunctions by displaying the realistic image of the conjunction beforehand and with the notification about the directions of the traffic movement. The function of choosing the ultimate lane for driving is also embedded. 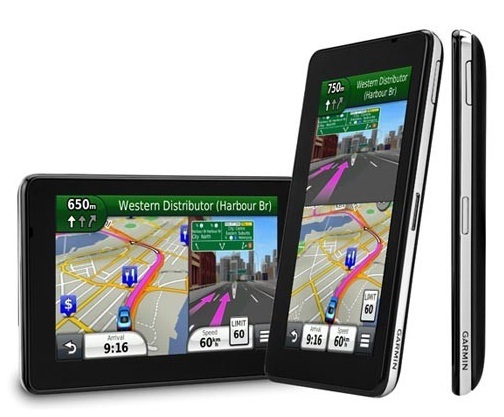 The navigator comes with already downloaded roadmaps of many countries. High-quality maps are being developed especially for the Garmin devices, these maps are being constantly renewed and updated for free once in three months. The upgraded Guidance 3.0 interface is available in nine different layout variants, and has 3D images of buildings and constructions, the Near Search function. It is also available to save links to one’s favourite search requests, categories of places of interest, as well as to access the saved locations. 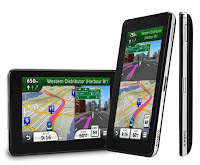 The navigator also comes with a special receiver which allows to access the data about traffic jams for free and without any SIM card or GPRS. The warranty of the device is two years.